National insurer Anthem, which has already announced it will exit the individual insurance exchanges in three states next year, warned early Wednesday that it will continue to exit markets if it doesn't "quickly" gain certainty that the ACA marketplace will stabilize and become profitable. Echoing repeated calls from insurers throughout the country, Indianapolis-based Anthem reiterated that it needs to know that cost-sharing reduction subsidies under the ACA will be funded in 2018. Anthem, which boasts about 1 million exchange members in 14 states, is one of the biggest marketplace players. Its exit would deal a major blow to the exchanges that are already dealing with multiple insurer pullouts and dozens of bare counties where consumers would have no access to subsidized ACA coverage in 2018. "There are still many areas of marketplace uncertainty—principally, cost-sharing reduction subsidy funding—that make it challenging to be comfortable with the level of predictability of a sustainable marketplace," CEO Joe Swedish said during a conference call to announce second-quarter earnings. "If we aren't able to gain certainty on some of these items quickly, we do expect that we will need to revise our rate filings to further narrow our level of participation." Anthem said it expects a slight loss on its individual ACA business for 2017. Swedish, who has been more publicly supportive of the Trump administration's efforts to overall healthcare than other insurer CEOs, said he is hopeful that Congress will devise a way to stabilize the market. He added that he feels the administration is listening to the Anthem's suggestions for reform. Still, Anthem's other segments are performing well. It added members in its Medicaid and Medicare lines of business, bringing total medical membership to 40.4 million as of the end of June, an increase of 1.6% over the same period a year ago. Membership growth and premium rate increases helped boost revenue by 4.4% to $22.4 billion year over year. Anthem's net income totaled $855.3 million, up 9.6% over the same quarter in 2016. Anthem's benefit-expense ratio, or the share of every premium dollar that goes toward medical care, was 86.1% in the second quarter, up from 84.2% year over year. The insurer attributed the increase to the one-year waiver of the health insurance tax in 2017 and adjustments to the prior year's risk-adjustment estimates. During the conference call, Swedish also said the insurer is keeping its options open regarding new opportunities for mergers and acquisitions. 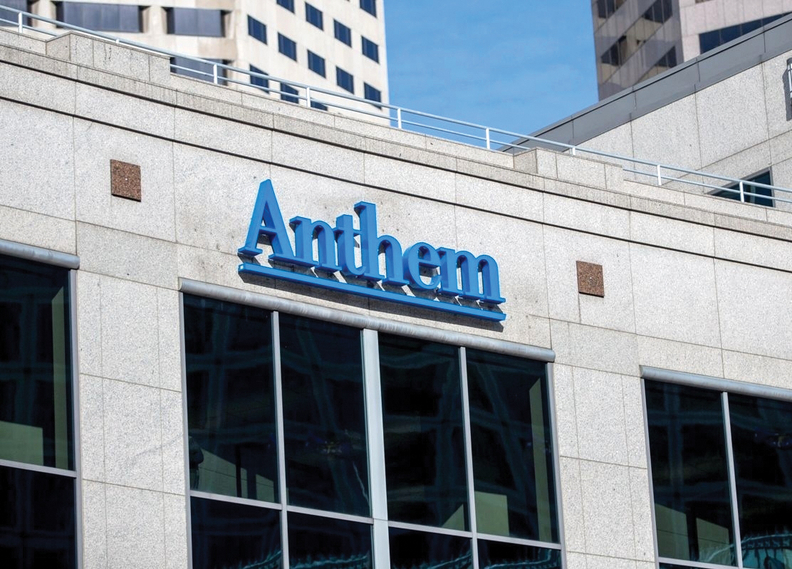 Earlier this year, Anthem abandoned plans to acquire Cigna Corp. after the proposed $54 billion merger was successfully challenged by the U.S. Justice Department. But Swedish's remarks suggested Anthem is looking to expand in the Medicare Advantage and Medicaid markets. He noted that Anthem's 2015 acquisition of Simply Healthcare, a Florida-based operator of Medicaid and Medicare plans, is an example of a great fit. "We are very mindful of the fact that scale does matter," Swedish said. Anthem is also in the middle of a search for a new pharmacy benefit manager after announcing that it wouldn't renew its long-term contract with Express Scripts following a public spat that lasted more than a year. While executives said it's "premature" to speak about the request-for-proposals process, Swedish did mention that the search has "further validated our expectation to be able to lower our pharmacy cost by $3 billion annually."